Of the top index picks only Maruti has been on the weak side the rest are doing good. In all my previous posts had been clearly mentioning the importance of 17300-17000 being a strong support zone and one should look for bounce back trades closer to it. Sensex low made is 17314. Also a couple of weeks before had mentioned about not focusing on the Head and Shoulders pattern which may not work out well and is more of a pattern of convenience and need not be used in isolation. Although on copy book technicals it may seem to be a head and shoulder but as seen above chart we need to look into the longer term channel which has three previous bottoms. 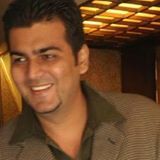 In simpler terms none of the technical patterns can be taken in isolation and one needs to amalgamate all the technical observations before making a conclusive analysis. 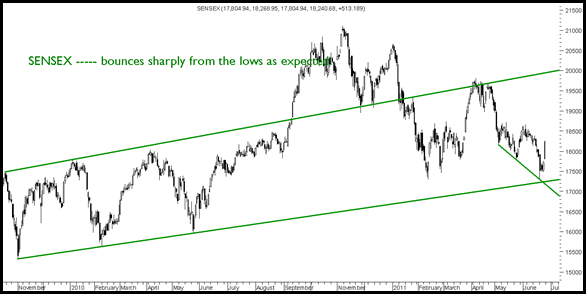 We may also look into an interesting observation of how one needs to use Nifty and Sensex analysis together to get a more clear picture. 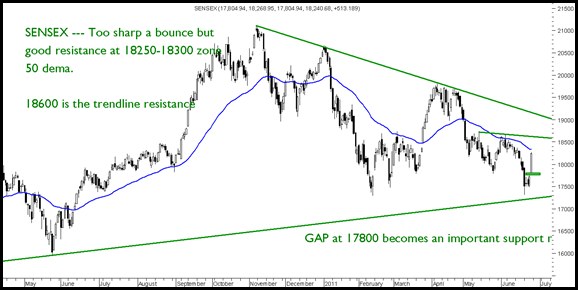 - > The strong bounce back with a good gap suggests the support for now comes to around 17800 which is a bit deep from current levels so one may look towards profit booking if bought on declines. - > On the upside 50 dema at 18300 and previous trendline resistance at 18600 will be very strong resistance. - > With the bounce back being sharp there could be good trading opportunities in specific stocks. Will discuss specific stock charts in the next post. Have you noticed the Double bottom with Positive divergence in MACD? How reliable is this signal? I have seen similar signal in the charts between Nov 08 and March 09. Double bottom + Positive divergence in MACD. Thanks Nooresh for the reply, in general technical analysis , what weightage one must give to Postive or negative divergence? As i notice, there is a major postive divergence in MACD between both the bottoms and we also saw major negative divergence in the rally between Oct 10 and Nov 10 top. I’m very curious to know your view on the divergences and how it plays out? Well divergences need to be followed up by price actions. I prefer positive divergences more as it is more effective. Recent move was an example.